A few days ago I said goodbye to Rivercity Pilates. As emotional as it was to have my last private lesson and walk out the front door, the studio has always been so much more than a building to me. If you’ll allow me to stroll down memory lane, I’ll do my best to explain what the past five years have meant to me. I met Carey when she was at her first studio. The space was small (think large walk-in closet). Carey’s “office” was in the corner and all of her bookkeeping was done by hand. She had three Chairs, the Cadillac, and a Reformer. We did a lot of mat classes and I fell in love with the Chair. I was welcomed right away by the studio’s clients and distinctly remember how much the side leg kick series killed! I started Pilates to help with the stress of studying for the bar exam and to get in shape for my upcoming wedding. It was a fantastic stress reliever and I found myself looking forward to class. I was nervous when I was the only student in class but Carey put me at ease and told me all the good progress I was making. Soon I found myself craving Pilates and wanting to learn all I could about it. When Carey set out fliers for her teacher training program, I decided to take the plunge. My plan was to learn the Pilates method as best I could for myself – with no intention of teaching. I continued school (a Master’s in Political Science) while pursuing my Pilates certification. After nine years of higher education, I did some serious soul searching and decided to teach Pilates with Carey. It was absolutely the right decision. I learned so much while I was at the studio. I learned about the importance of movement and deep breathing. I learned to trust my body and to teach others how to use theirs. And I learned that a community of friends like those I found at Rivercity Pilates is invaluable in this life. I met amazing, creative, strong, brilliant, hilarious, and kind women and men while working at Rivercity Pilates. They invited me into their lives and trusted me with their stories. I celebrated births of grandchildren, successful dance recitals, job promotions, and engagements. I listened to and hugged clients who lost parents, were stressed about the holidays, or missed their children that were away at college. Being a part of my clients’ lives was my favorite part of the job. In turn, they supported me. They asked about my life, celebrated the birth of my son, and took me out for dinner to say goodbye. So thank you. 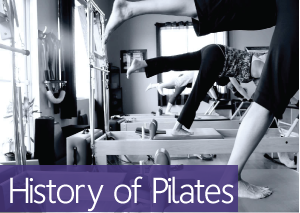 Thank you Carey for your vision to bring Pilates to Eastern Iowa. Thank you for being a wonderful boss, mentor, and friend. Thank you to each and every Rivercity Pilates client for making my days brighter simply by walking through the door. I will miss each of you. You’ve shaped me in ways you cannot imagine. Keep doing your Pilates and please stay in touch. in Motivation and Inspiration, Pilates in Your Life, Teacher Training, What's so great about Pilates?